GRAND ISLAND, Nebraska – A statistic that stood out for the Tucson Sugar Skulls in their first four games was that neither of its two quarterbacks had thrown in interception in 93 pass attempts. 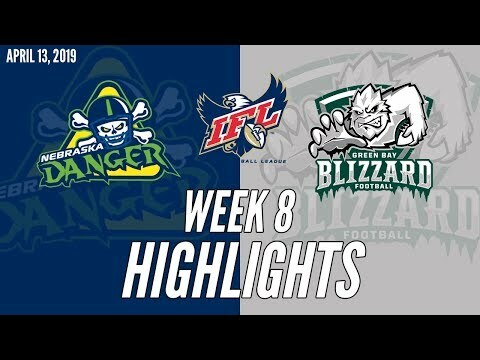 Unfortunately, Game 5 produced a different storyline as the Sugar Skulls threw three interceptions and added a lost fumble in a 53-47 loss to the Nebraska Danger. 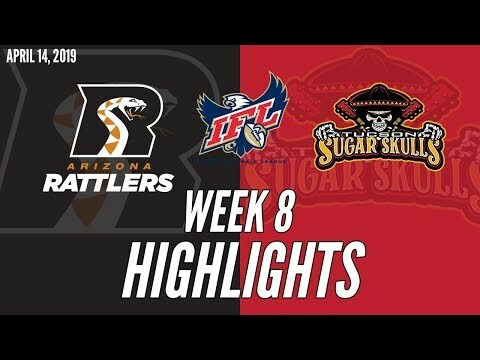 The loss dropped the Sugar Skulls to 3-2 on the season with a rematch with the first-place and unbeaten Arizona Rattlers looming next Sunday in Tucson. Even with the turnovers, and after falling behind by17 points in the second half, the Sugar Skullsfought back and had an opportunity to walk away winners. But a last-chance drive ended with the third pick of the night on a tipped ball with the Sugar Skulls driving in Nebraska territory with 18seconds to play. The Danger were able to run out the clock after the pick. Matt Behrendt got the start at quarterback after sitting out last week’s win over the San Diego Strike Force. But his second pick with 11:08 left in the third quarter and the Sugar Skulls down by10 led to a Danger score and a 37-20 deficit. That score was the third straight by the Danger after theSugar Skulls led, 20-16, in the middle of the second quarter. One of the three scores was onthe second-half kickoff when Eric Thomas ran it back 50 yards for a touchdown. 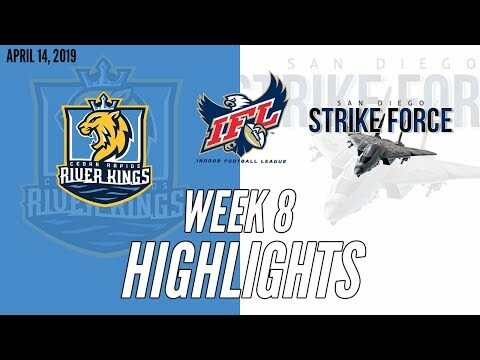 Jake Medlock entered the game at quarterback with 8:03 left in the third quarter and kept theJake Medlock entered the game at quarterback with 8:03 left in the third quarter and kept the sugar Skulls within striking distance. Mike Jones scored the second of his three TDs with 7:17 leftto make it 37-26. After a Kenny James interception, Jones scored again, and the Sugar Skullswere within four at 37-33 with 4:19 left in the third quarter. 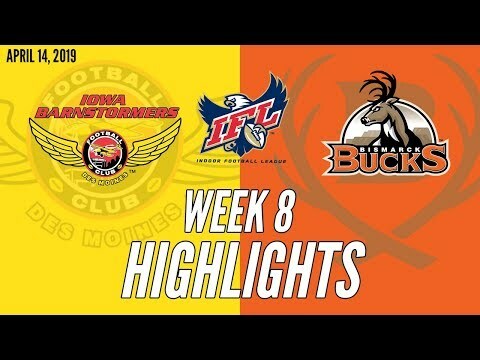 After a Danger field goal made it 40-33, Jones coughed up a fumble after catching a pass from Medlock, leading to a Danger TD and theSkulls were down by 13. Medlock scored from a yard out to get the Sugar Skulls within six with 3:16 left to play. TheMedlock scored from a yard out to get the Sugar Skulls within six with 3:16 left to play. Thedefense stiffened and gave the offense one last chance when Nebraska missed a 29-yard fieldgoal attempt with 44 seconds left in the game. But Medlock’s last pass of the night was deflectedand picked off at the Nebraska 15-yard line with 18 seconds left to play and the Danger ran out theclock. • Brandon Sampson led all receivers with five catches for 69 yards and a 25-yard TD catch on a one-play drive when the Sugar Skulls were playing catch-up in the fourth quarter. • Wide receiver Rashad Canty, a new addition to the roster this week out of Vanderbilt University, contributed with three catches for 48 yards and a touchdown. • Jones was held to a season-low 18-yards rushing, but his three touchdowns in the game give him 11 on the season. Behrendt was the team’s leading rusher with 45 yards including the Sugar Skulls’ first touchdown of the game. • The Sugar Skulls’ first interception of the season came on the team’s 103rd pass of the season with one second left in the first half of Game 5. 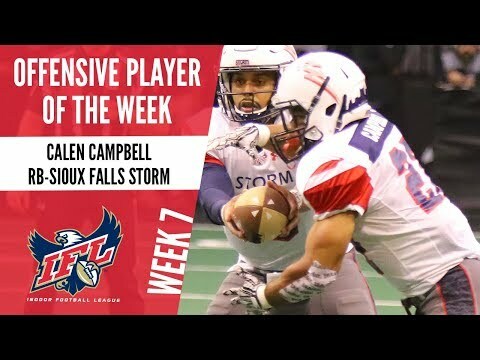 • Linebacker Zach Allen led the Sugar Skulls again with nine tackles and he and he was credited with 0.5and he was credited with 0.5tackles for loss. The Sugar Skulls had a total of three tackles for losses.